Since Bloodborne’s March 2015 release, fans have been awaiting an announcement of a sequel. With FromSoftware’s Déraciné launch on PlayStation VR, anticipation’s been fueled once more, due to Déraciné’s featuring a blatant Bloodborne Easter Egg in the form of a doll. Does the Bloodborne nod mean FromSoftware is developing Bloodborne 2? According to President Hidetaka Miyazaki, the answer’s no. In fact, the Easter Egg was meant only as an Easter Egg, nothing more. In reality, this is just a conversation my team and I had. It’s the type of conversation we have during development because there are Easter Eggs… However… the easter eggs isn’t an indicator that we’re going to release Bloodborne II. I’m not in the position to talk about the possibility of Bloodborne II’s release. 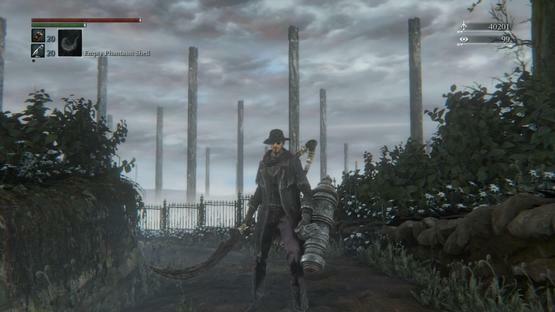 However, we love Bloodborne; for that reason this Easter Egg has created a lot of curiosity [among fans]. But, I repeat, it’s not a sign for Bloodborne II. It’s just something we explored between us because we love Bloodborne. This probably isn’t FromSoftware’s first time shooting down Bloodborne 2 speculation, and it’s unlikely to be the last. The most recent rumor dates back to weeks after E3 2018, where the sequel appeared on an Amazon Italy listing, alongside the likes of Splinter Cell, and an evidently incorrect Dreams release date. Miyazaki has previously stated that Dark Souls is finished. FromSoftware’s Promotion and Communications Manager, Yasuhiro Kitao, once followed up on this, stating that the studio instead wants to focus on “fresh experiences.” This seemingly suggests there’s hope for Bloodborne to return in some fashion. For now, however, fans will have to get their Soulsborne fix elsewhere, specifically in FromSoftware’s upcoming release of Sekiro: Shadows Die Twice. Fortunately, Sekiro will compare to Bloodborne and Dark Souls with regards to the scope of the older titles. Yet, gameplay additions to Sekiro, such as stealth, are sure to differentiate the new release from its predecessors. Sekiro: Shadows Die Twice will come to the PlayStation 4, PC, and Xbox One on March 22, 2019.